Stephanie Clone is the Research and Evaluation Program Manager at the Georgetown Center for Child and Human Development, Early Childhood Division. Stephanie currently supports two projects within GUCCHD; an evaluation project with the Department of Health in DC on Home Visiting and an evaluation with the DC Department of Behavioral Health to improve mental health outcomes for young children with and at risk for serious emotional disturbances (SED) and their families. Most recently, Stephanie worked at the Washington Area Women’s Foundation, a non-profit foundation that invests in economic security for women and girls. During her time there, she coordinated grant making for early care and education and workforce development portfolios and supported evaluation across funded programs. 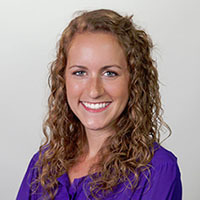 Previously, Stephanie served as a Senior Project Coordinator on a state-wide evaluation for innovative behavioral health programming throughout South Carolina. In this role, she provided technical assistance to 33 behavioral health agencies aiming to improve access to high-quality services, particularly for women and children.